Last night we got the Christmas decorations out so the kids could open the advent calendar this morning. We bought a beautiful wooden advent calendar last year in an amazing Christmas shop in Carmel, California. It is such a keepsake and I'll share it with you soon. We will put up and decorate our tree this weekend. I'm really allergic to real pine trees so we have a good fake one as there is nothing worse than sneezing all holiday season. We like to put on Christmas music and decorate it all together. We have some beautiful ornaments as one of our closest friends lived in France for several years and used to send each of us all an ornament every year that she bought at Christmas markets. They are very special and we love putting them on our tree. Today however I couldn't resist decorating the centerpiece of the dining table. I used a hessian sack that I bought at the hardware store for $3, some pine cones that the kids had brought home from the park about 6 months ago and then tossed into our garden. I dusted them off including getting rid of a couple of insects and painted them with some silver paint I had in my stash. The etched glass cake stand is one my sister gave me several years ago and the two red decorative cones we had bought about 3 years ago. I just wanted a simple centerpiece as we won't actually be entertaining or eating here on Christmas day and we use this table for all our meals, so it still needs to be functional. I also have to share about this last Tuesday night. We went to an fantastic Christmas party at the Ivy Pool Bar in the city. A truly amazing venue and the weather was balmy. I love Sydney at this time of the year (anytime really! but especially in summer). We had so much fun and Guy Sebastian made a surprise appearance and sang 3 songs. Incredible. I recorded this clip of "Who's That Girl" below on my iPhone. Not bad quality for a noisy party and a phone. 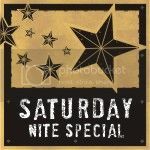 Loved your blog Fiona! Guy Sebastian is such a sweetheart! I LOVE the Ivy pool bar, but being from Brissy I've only been there once. Love Guy's acoustic version and of course your silver pine cones. 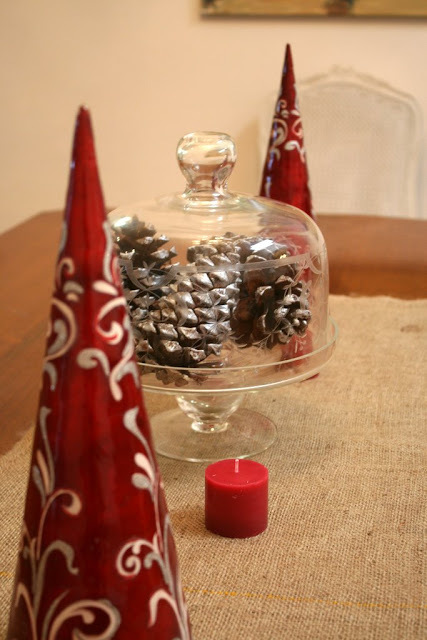 I love the Pinecones in the Glass. I could smother my house in cloches they make everything look so wonderful! I just went to the Ivy Pool bar myself last week, great summer atmosphere!!! Oh so simple yet so very lovely. 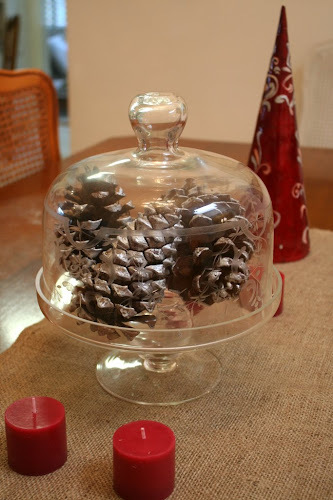 Using a cakestand as a cloche is a wonderful idea! By the way, Fiona is one of my husband's favorite names! Merry Christmas from the other side of the globe! 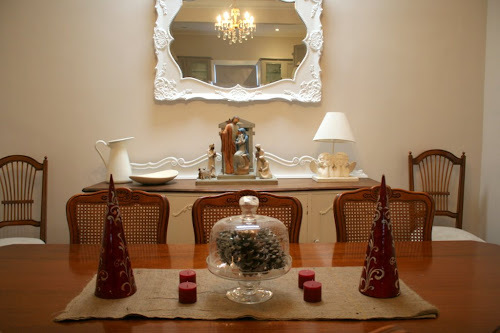 Lovely Christmas inspiration, so enjoying taking a stroll through your lovely blog. Everything looks beautiful. Your Christmas party sounds fabulous.